ANKARA, Turkey — Turkey on Monday vowed to continue fighting a US-backed Kurdish militia which it views as a terrorist group after US President Donald Trump warned of economic devastation if Ankara attacks Kurdish forces as American troops withdraw. Turkish President Recep Tayyip Erdogan’s spokesman Ibrahim Kalin said on Twitter that there was “no difference” between the Islamic State extremist group and the Kurdish People’s Protection Units (YPG) militia. But Washington has been working closely in recent years with the YPG, providing military support and training, in the fight against IS in Syria. Kalin said that it was “a fatal mistake to equate Syrian Kurds with the PKK,” saying that Turkey fought against terrorists not Syrian Kurds. American support to the YPG has been one of the main sources of tension between Turkey and the US, but there appeared to be some improvement on the issue after Trump said last month 2,000 American troops would withdraw from Syria. 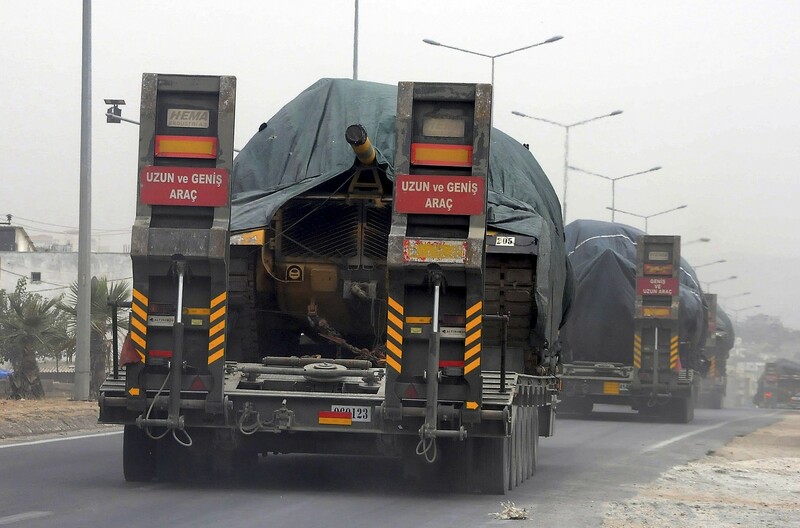 Ankara welcomed the pullout decision after Erdogan told Trump in a phone call last month that Turkey could finish off the last remnants of IS. However, there has been growing friction between Turkey and the US over the fate of the YPG, especially after US Secretary of State Mike Pompeo previously said Washington would ensure Turkey would not “slaughter” Kurds. This entry was posted on January 14, 2019 at 3:34 PM and is filed under Uncategorized. You can subscribe via RSS 2.0 feed to this post's comments. You can skip to the end and leave a response. Pinging is currently not allowed.